Click here to open the homepage of the worldwide Anglican Communion, where you will news and information on the life and ministry of our Anglican/Episcopal family of Churches in more than 165 countries. In July 1980, the Diocese in Europe became the 44th Diocese of the Church of England, bringing together churches and congregations spread across 42 countries on 3 continents, and covering one sixth of the earth’s land surface. For further information, click here. Chaplaincy of Midi-Pyrénées and Aude. The Church of England in the Midi-Pyrénées and Aude covers an area from the Aveyron to the Aude and from the Lot into Tarn and Garonne, including the Tarn, Haute Garonne and Ariège. There has been an Anglican presence in this part of France since the early 1960's. In the last five decades this has developed into the present day Chaplaincy with seven worship centres and a large ministry team led by the Chaplain. For further information, click here. St Michael’s, is currently the only Anglican Church in the Gard. The congregation was born in the summer of 2006 and was formally adopted into the Diocese of Europe in 2007. They meet in the Protestant church in Bagard, in the church at St Andre de Roquepertuis and in the cathedral in Uzès. 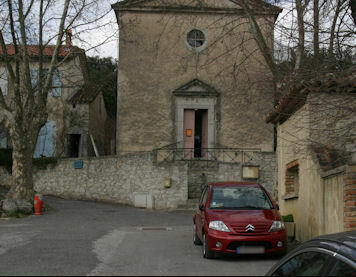 They a hold regular communion service on the first Sunday of the month at Bagard, at St Andre on the second and at Uzès on the third. For further information, please click here. St. Paul's. the Anglican Church in Monaco,is home to a dynamic community of English speaking Christians representing a variety of Christian cultural backgrounds. There has been an English church here since 1888. For further information, please click here.